If the companies do not meet that requirement within the next six months, Nordea's Sustainable Finance team will recommend selling Nordea's holdings in these companies. The news follows similar announcements from Norway's DNB and Odin Fund Management. 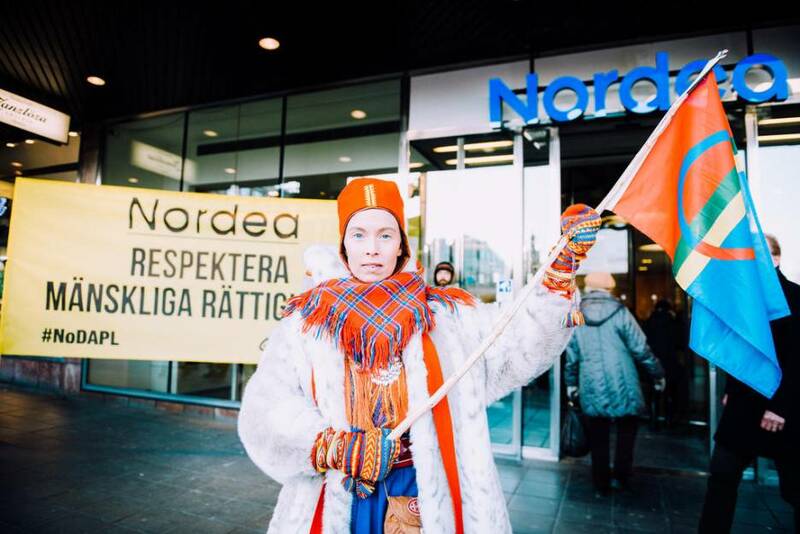 "It's an important step that Nordea put its foot down and now has specific requirements that the oil pipeline not go through the Standing Rock Sioux Tribe's land," Greenpeace Nordic climate and energy campaigner Rolf Lindahl said. "It sends a clear signal to the world that the rights of indigenous peoples must be respected. We encourage others to set the same demands for the companies that are building the oil pipeline. "The fact that bank after bank is withdrawing or voicing concern over the project shows the power of people united. 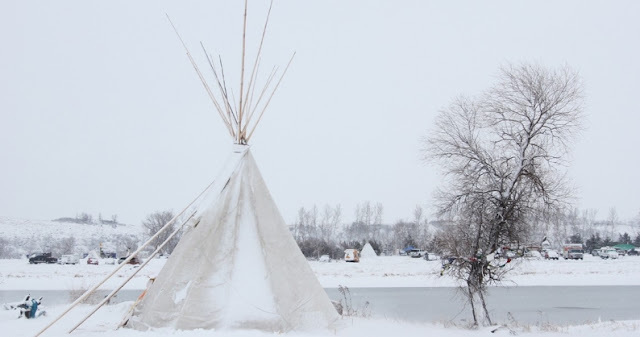 This is another positive development for water protectors, though it does not yet determine the pipeline's future, which should be stopped in its entirety." Nordea’s team for Responsible Investments recommends an exclusion of the three companies behind the Dakota Access Pipeline. The three companies in question are Energy Transfer Partners, Sunoco Logistics and Philips 66. The U.S. Department of the Army on Feb. 7, 2017, announced that it intends to grant the final permit for the pipeline. This allows for it to be constructed according to the current route, under Lake Oahe and close to the Standing Rock Sioux Tribe’s reservation. The department also cancelled the plan for an additional environmental-impact statement. Nordea has sought a dialogue with the three companies behind the pipeline about an alternative route. The companies have declined any form of dialogue with Nordea. 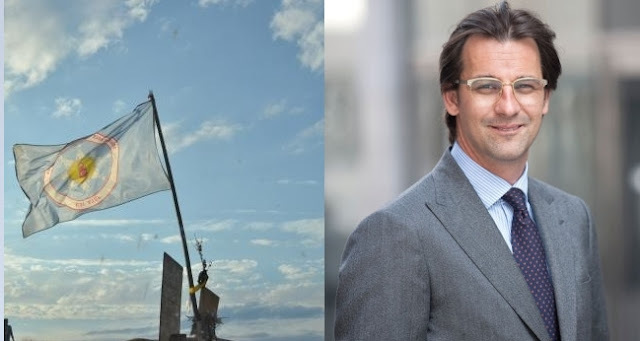 Responses to "After visiting Standing Rock, Swedish Bank opposes working with DAPL"
Oh Thank You Swedish Bank. It's very important decision and will show an example to banks over all the world. Thank You. THANKS SWEDISH BANK, YOU ARE THE GREATEST. YOU ARE MAKING HAPPY SO MUCH PEOPLE. THANKS AGAIN, WISH THE BEST. Thank you for the respect for the tribal lands and people! Thank you! You make a difference with your decision. PLEASE focus on renewable energy. Alternative energy that does not polute and destroy our beautiful and amazing Home, Planet Earth. Thank you for divesting and taking this firm action in excluding the companies which work with the Dakota Access Pipeline. You have made an important and much appreciated move in defense of the health of multitudes of people and all living beings and for human rights and our beautiful Earth. Nordea, Try looking at your own policies regarding marginalized people in your own backyard--exclusionary, anti-foreigner policies to those who wish to open accounts in your banks in Finland. I am grateful that you Nordea respects the wishes and land owned by Standing Rock. I have great respect for companies who has respect and compassion for other people. Thank you! It means so much that powerful governments still listen to people. Dear Bank, Hoka hey. Can you help convince all banks to stop funding DAPL companies? Can you use your holdings in these companies before you sell them use them to gain an organized majority of voting share holders and convince them to vote to halt the project all together? The land on which they drill with your money is stolen land. This land is the land of indigenous sovereign nations. It was never ceded to the US Army Corp of Engineers and it is not private property of DAPL. It is the ancient burial sight of our Native American Ancestors. Please join us to help repatriate the land to the original indigenous control. Thank you and bless your heart. If we had 200 years, we might get there. For the sake of all people who drink water to live, this is good news. Every step counts. Thank you. Thank you for taking a stand for something that is simply the right thing to do. I will remember you when it's time to invest. My understanding is that the pipeline goes near the reservation border but is not actually crossing reservation land.